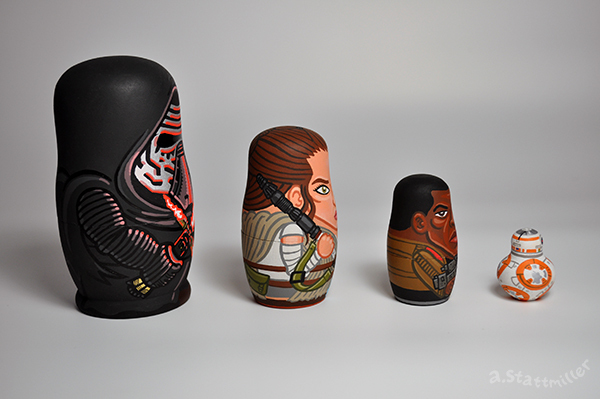 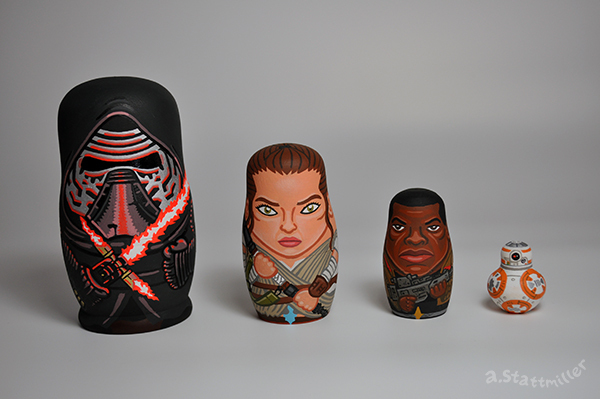 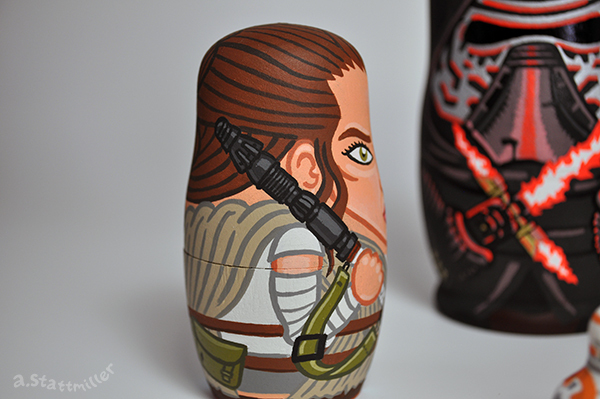 Star Wars The Force Awakens Nesting Dolls! 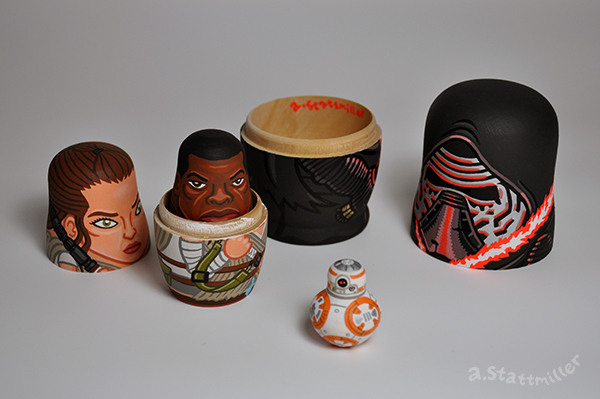 This set features Kylo Ren, Rey, Finn and BB-8. 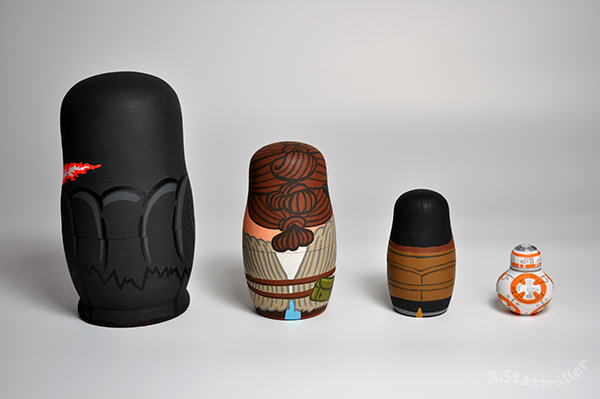 It's a 4 piece set and the largest doll measures in at 4.75 inches and the smallest at 1.25 inches. 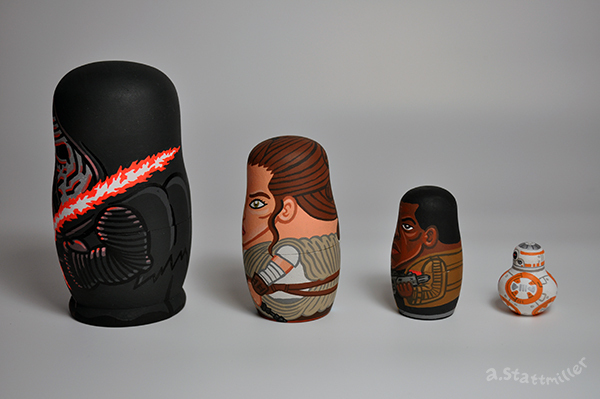 This one was fun. 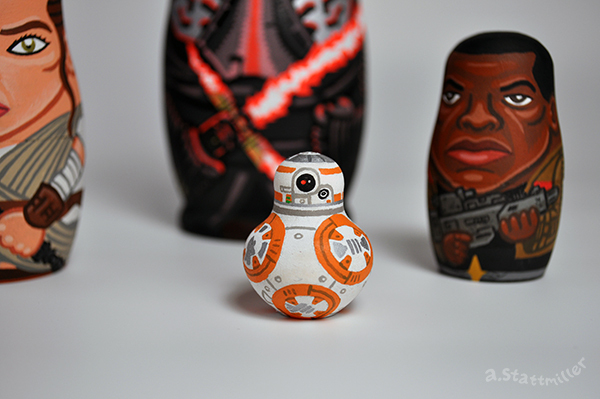 I really enjoy the working on the details, especially on the weapons and the little BB-8.